Make safety your number-one priority. 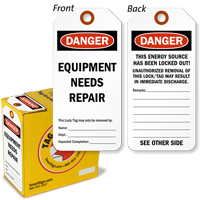 Comply with OSHA code §1910.147 for Lockout and Tagout procedures with a pull-out tag dispenser, offering an easily writable matte surface. 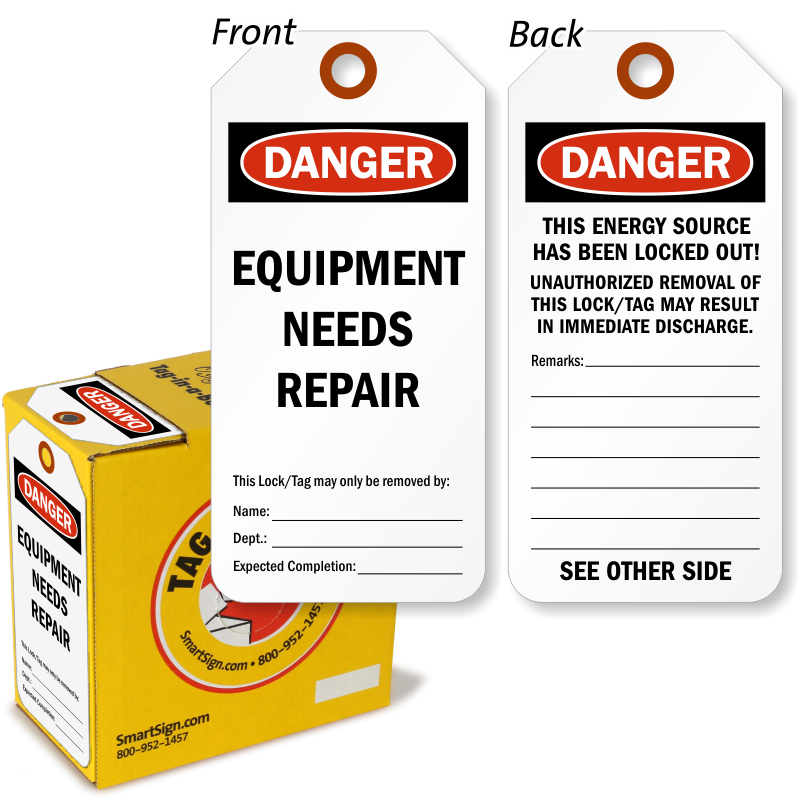 • Equipment repair tags have never been more convenient! 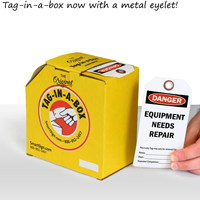 Handy dispenser box lets you tear off tags as needed while keeping your tags neat. 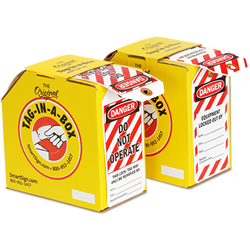 • Durable Plastic design offers an incredible value, with a reusable dispenser box. 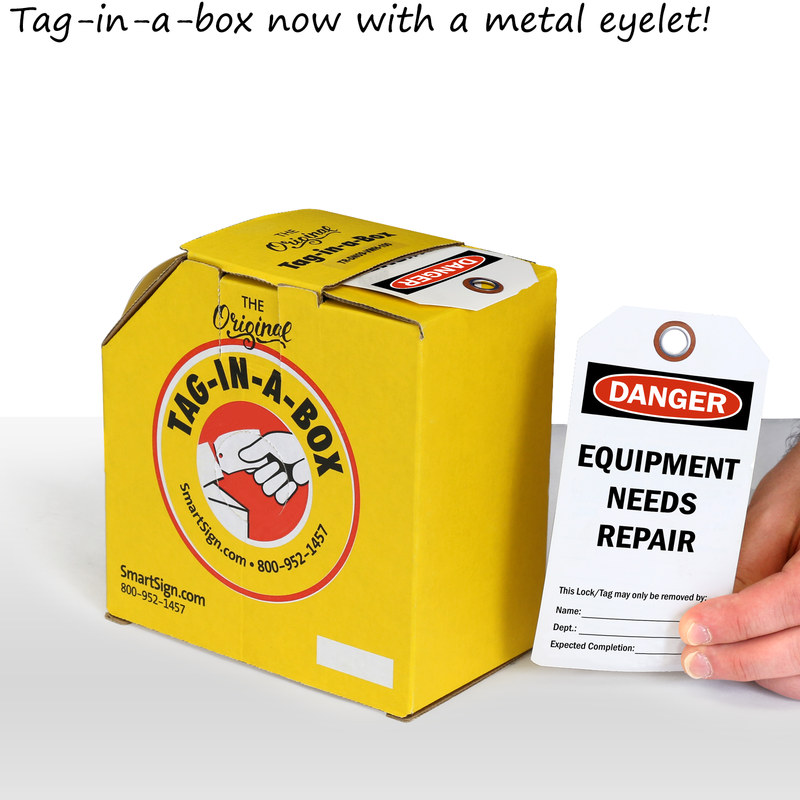 • These thick tags are great for warning areas to prevent dangerous accidents in your cutting or welding area. • Choose between a reinforced fiber patch or a metal eyelet for when extra pull strength is needed. Plastic tag is 0.010" thick. Tag is reusable and waterproof. Tags can be used inside or outdoors. Lockout tags have perforations between each tag. The tags also have notched corners so that they hang better in tight spots. Tag features a fiber patch and metal eyelet for our strongest pull strength offering. 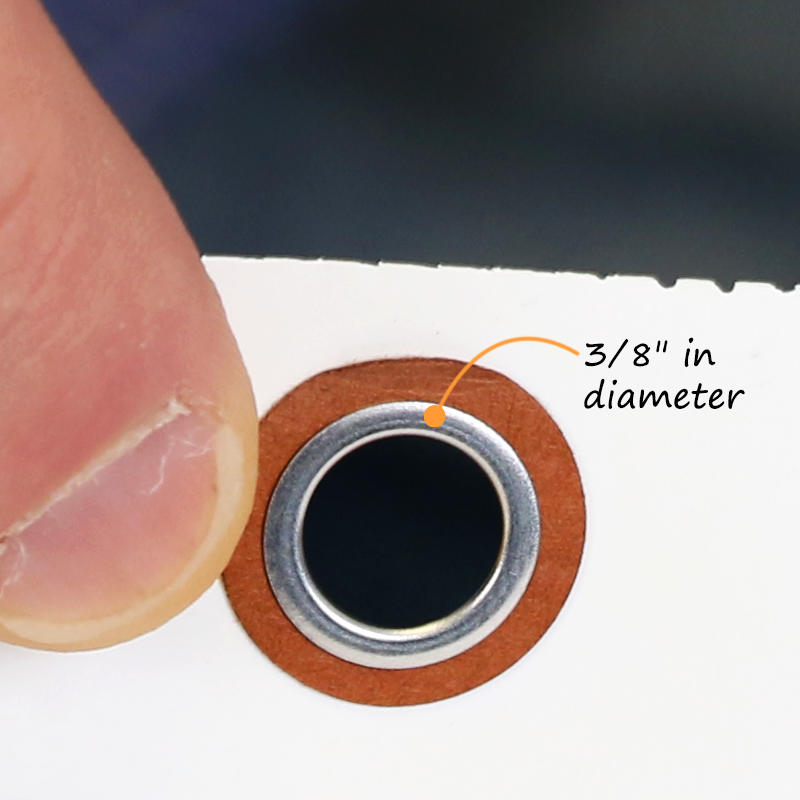 Eyelet is 3/8" in diameter. Most tags use a reinforcing patch eyelet - for a greater pull strength.